The BlackBerry Curve 9360 is a sleek and attentively designed smartphone released in August 2011 as an affordable smartphone alternative by Blackberry. 2011 was a tough year for BlackBerry, and they pulled out all the stops when they decided to release the Curve series of mobile phones – a decision which paid off well as they went on to become one of the best selling smart phones on the market for the quarter. If you own the BlackBerry Curve 9360 and have noticed a steady degradation in response time or processing performance, it could be time for a factory reset. BlackBerry’s operating system includes a very quick method for resetting your phone to its factory settings which can often resolve software problems that accumulate over time through daily use. 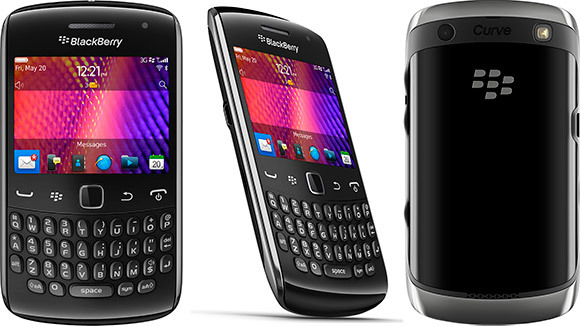 The BlackBerry Curve 9360 is targeted at the everyday user. Sleekness and portability are key, with a surprisingly thin design and a set of features aimed towards improving the general user experience, rather than a specific market target. Evidence of this can be seen in the internal storage of the phone, which by itself only holds 512 MB of data- not an enormous number for many users. The addition of an SD card slot, however, brings up to 32GB of internal storage for the user who requires a phone of this capacity. This is just one example of the cost-saving measures that BlackBerry took in order to get the Curve into as many hands as possible. If you begin to notice software glitches or unresponsive programs in your BlackBerry Curve, it’s often a simple matter of performing a hard reset and backup of your user data to fix the problem. This procedure will reinstall the operating system of the phone, erasing all of your personal data in the process. After the phone is wiped clean and brought back to its factory state, you can restore your user data back to the phone and continue using it like normal. You must backup your data before you attempt the software reset, or else the data will be lost forever. It can’t be said enough because if you just skim through the article and start pushing buttons you could lose everything. From the home screen, press Menu twice and then scroll to Options. Now tap the Security options menu and scroll down to enter Security Wipe. In this new page, highlight Emails & Contacts, User Applications, and Media Card. Also type “Blackberry” into the bottom field to confirm. Lastly, click on Wipe to erase the phone’s internal memory, then let it restart. The phone will restart after a few seconds with all your user information erased. From here you can restore your data from that back up I hope you made and go on using your phone as if it was brand new. Any software problems that it had will have been overwritten.